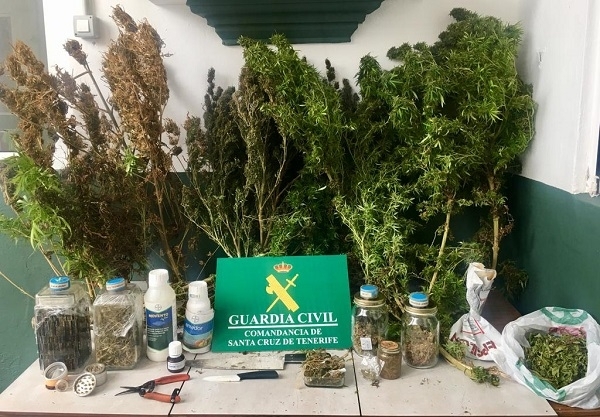 Guardia Civil officers became aware of a possible marijuana plantation in an apartment at San Andrés y Sauces in the north east of La Palma. They obtained a search warrant and actually found a plantation with plants which were in various stages of growth or preparation. A total of 2,673 grams of marijuana and typical utensils for growing and fertilising the plants were confiscated. A 43-year-old was arrested and has now appeared before the court in Santa Cruz de La Palma. Produced with news.CMS in 0,2078 seconds.